The American Board of Family Medicine's (ABFM) Board of Directors has selected Warren Newton, MD, MPH to become its next President and Chief Executive Officer, succeeding Dr. James C. Puffer upon his retirement. Dr. Newton will serve in the position of President and CEO Elect beginning July 1, 2018 until Dr. Puffer’s retirement at the end of 2018. The American Board of Family Medicine's (ABFM) Board of Directors has selected Warren Newton, MD, MPH to become its next President and Chief Executive Officer, succeeding Dr. James C. Puffer upon his retirement. Dr. Newton will serve in the position of President and CEO Elect beginning July 1, 2018 until Dr. Puffer’s retirement at the end of 2018. Upon assuming the role of President and CEO on January 1, 2019, Dr. Newton will oversee the ABFM, as well as the ABFM Foundation and Pisacano Leadership Foundation. 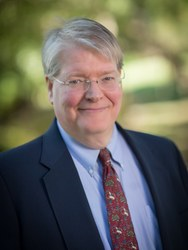 Dr. Newton is currently Executive Director of the North Carolina Area Health Education Center (NC AHEC), a national leader in practice redesign, continuing professional development, health careers programming, and innovation in graduate medical education, and Vice Dean of the School of Medicine at the University of North Carolina (UNC). From 1999-2016, he served as the William B. Aycock Professor and Chair of Family Medicine at UNC. Dr. Newton has been a personal physician for 33 years, working in a variety of settings, including the UNC Family Medicine Center, the Moncure Community Health Center, and the Randolph County Health Department. In the 1990s, he founded the first hospitalist program at UNC Hospitals and helped reorganize family medicine obstetrics into a maternal child service. Over the past 15 years, he has led practice transformation initiatives at the practice, regional and statewide levels; North Carolina AHEC now provides support in health information technology, PCMH and quality improvement for over 1,200 primary care practices. As an educator, Dr. Newton served as residency director at UNC from 1992-1997; since 2004, he has co-lead the I3 collaborative of 24 primary care residencies focused on clinical transformation in the residency practices. He has also taught extensively in medical school and fellowship programs and served as Vice Dean of Medical Education at the University of North Carolina from 2008-2013, during which he led an LCME review, expanded the school, established satellite campuses, developed new curricula in professionalism and population health and expanded the enrollment of underrepresented minorities. Dr. Newton’s scholarship has focused on the organization and effectiveness of health care; he has over 140 peer reviewed publications, including over 80 published with students, and has been principal investigator on grants totaling more than $45,000,000. Finally, from 2012 to 2017, he served on the Board of Trustees of the North Carolina State Health Plan, responsible for the health and health care of approximately 700,000 state and county employees and retirees. In 2016, he served as Senior Policy Advisor to the North Carolina Secretary of Health and Human Services, helping to prepare the Medicaid 1115 innovation waiver, plan rural residency expansion and develop quality metrics for Medicaid. Continuously board certified in family medicine since 1987, Dr. Newton served on the ABFM Board of Directors from 2007-2013, including his term as Board Chair in 2011-12. He currently serves as a Director on the ABFM Foundation Board of Directors. Dr. Newton also brings experience working with the American Board of Medical Specialties, where he serves as a member of the ABMS Committee on Continuing Certification, including a term as one if its first chairs in 2014. Additional national roles in which Dr. Newton has served include President of the Association of Departments of Family Medicine and Founding Chair of the Council of Academic Family Medicine. He is currently a member of the Liaison Committee of Medical Education and represents the ABFM at the National Academy of Medicine’s Global Forum on Innovation in Health Professional Education. Dr. Newton graduated from Yale University in 1980 and Northwestern Medical School in 1984. After residency and chief residency at the University of North Carolina, he completed the Robert Wood Johnson Clinical Scholars Program and an MPH at the UNC Gillings School of Global Public Health. In 2012-13, he was selected as a Society of Teachers of Family Medicine (STFM) Bishop Fellow, during which he also completed the American Council of Education Fellow’s program.